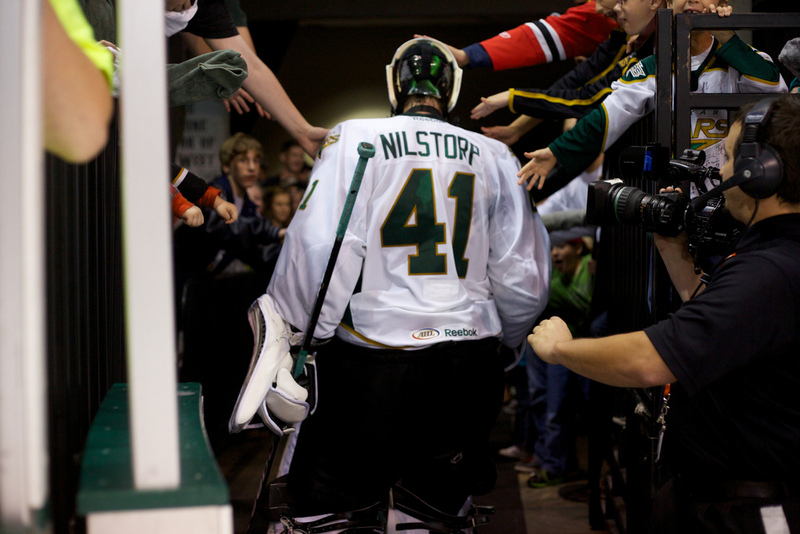 The American Hockey League has announced that the league's All-Star festivities will have a new twist in 2014, as the league will pit their top players against the Swedish Hockey League's Färjestad BK in St. John's, Newfoundland. The league's All-Star festivities will occur February 11-12, 2014, directly competing with the Winter Olympics in Sochi, Russia, running February 7-23. Färjestad is one of the oldest SHL teams and one of the most successful, playing in 19 league finals and winning nine Swedish league championships, including four since 2002. 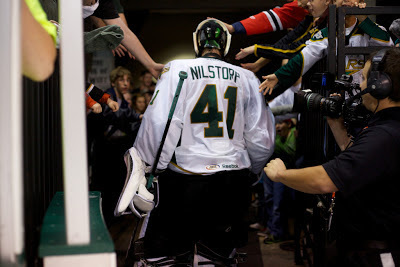 Texas Stars goalie Cristopher Nilstorp backstopped the club to one of those championships in 2011. Färjestad will be the first SHL team to ever play in North America. The 2013-14 Färjestad roster features a former Texas Star as inaugural year player Garrett Stafford will be one of their blueliners this season. Additionally, Ludwig Byström, a Dallas draft pick and potential future Texas Star, is on the roster. The league last played in a one team against a team of all-stars format in 1959 when the AHL All-Stars lost to the Springfield Indians 8-3. The NHL has twice tried their All-Star game as a contest against a foreign team, in 1987 with the Rendez-vous '87 and in 1979 with the Challenge Cup. For the record, Karlstad, Sweden, and Cedar Park, Texas, are both approximately 2,700 miles from the All-Star Game location of St. John's, NL.